Does your home still sport that outdated popcorn ceiling that was popular way back when in the 1970s and 1980s? Is the sight of that lumpy and bumpy ceiling driving you crazy every time you look at it? If so, then it’s high-time that you take steps to eliminate that sprayed-on stucco material in favour of something much more refined, sophisticated, stylish, and easier to maintain. The question is, how exactly do you deal with your popcorn ceiling? Before you paint a room that has popcorn ceilings, be sure to remove the ceiling material first. Painting over popcorn material makes the water-soluble paint difficult to remove later on. As such, if you’re going to eliminate the popcorn material, do it before painting your room. It takes a lot of time, skill, and attention to detail to fully understand how to remove popcorn ceilings. There’s a lot of scraping and sanding involved, and you’ll have to apply a smooth-finish base coat and finish paint afterward. The cost for all the material and time itself can make this an expensive job if you choose to tackle it on your own. There may be harmful asbestos lingering in the sprayed-on stucco if an acoustic spray was used before 1980. Before starting this labour-intensive and time-consuming job, be sure to identify whether or not there is any asbestos in the material first. If you neglect this step, you could be putting yourself and your family in jeopardy by allowing the asbestos to become airborne after scraping the popcorn ceiling off. Asbestos has been linked to numerous respiratory illnesses, and can even lead to cancer if exposed long enough. 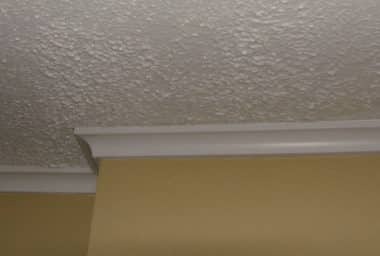 How Can Popcorn Ceiling Be Removed? 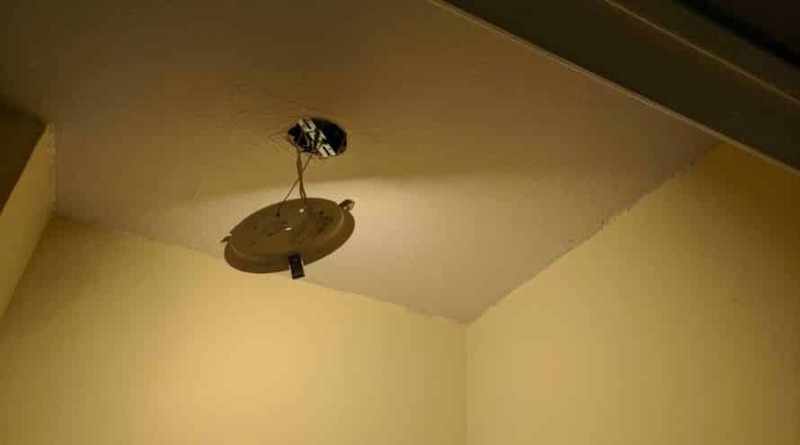 There are a few different ways that popcorn ceilings can be removed, including the following: Scrape it off – One of the more obvious methods of popcorn ceiling removal is to scrape it off. Using a scraping tool, the material is sloughed off. Of course, this method tends to cause a huge mess as all the material comes off in tiny particles, leaving a trail of dust behind. In addition, the scraping method can leave the underlying surface in bad condition that will need to be repaired and smoothed out before finishing the surface. Covering it with drywall – Another popular method to remove popcorn ceiling is to cover it with a new sheet of ceiling drywall. This can help avoid the tough job of scraping all the material off and risking potential asbestos from being freed and entering the air to be breathed in by all occupants of the home. It also helps avoid the job of having to smooth out the surface once all the material has been scraped off. However, this is a job that requires a team of skilled labour and cannot be done by one person alone with no experience. Covering it with another textured material – It’s always possible to make the popcorn ceiling less textured by applying another type of material that is lathered over type. While this may be easier than scraping or covering with drywall, it doesn’t provide the smooth finish that many modern homeowners want. The Ceiling Specialists – Dealing With Your Popcorn Ceiling For You As you can see, removing popcorn ceiling is a tough job. As such, it should only be handled by those in the industry who have the skill and expertise to do the job right. To have your popcorn ceiling removed in favour of a more modern and smooth surface, call The Ceiling Specialists today!